I received this from Bloomsbury Childrens in exchange for an honest review. As always, my reviews are fair and non-bias. Historical fiction isn't usually my go-to read, but there was something compelling about The Winner's Curse. I had heard so many great things about the story and the romance and that it was a must read, so I was going in with high hopes. The high hopes I went into The Winner's Curse with were met with exceeding enchantment and allure into the Historical backdrop and charismatic characters. Kestrel was especially interesting, although being set in the third person POV didn't give me a full look into her thoughts and I wasn't sure what that would mean until Arin was introduced and I saw why there was a different point of view situation where we could see into both of their worlds. Although they were both about to collide massively. Kestrel is the General's daughter, and she has everything she could possibly want. She also had a question weighing on her shoulders; to join the military like her father or get married. But when she sees a slave auction in progress and the slave up for grabs being Arin, she sees something in him that she hasn't quite seen in anyone else. Promising he can sing, she buys him even to the dismay of her best friend; Jess. Although the consequences that follow were something Kestrel couldn't have pictured. She feels a connection with Arin, even if he is secretive and distant. But when they talk about music, especially Kestrel's piano that she adores, they seem more matched than she ever thought. But it was becoming obvious that they had a certain connection and scandal hits the town, forcing them to be frightfully honest about how they saw each other. But Arin has ulterior motives, even if he is growing to hate being dishonest to Kestrel. His plans are wild and outrageous, but he's not the one in control. He still tries to save Kestrel when the plan goes forward, and sends her world spiralling out of control into a one she doesn't even recognize. One completely opposite to the life she has lived all her life. The roles get reversed. People get hurt. And still there is still a spark between them, even if Kestrel is filled with hate and Arin with slight remorse. 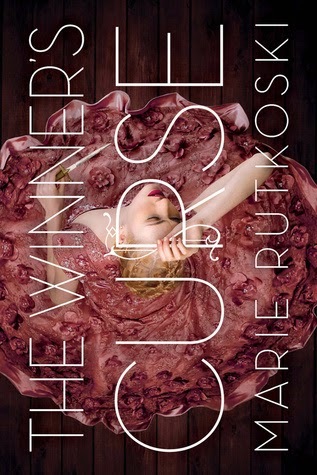 The Winner's Curse is unlike anything I've ever read - genius, enrapturing and with a hopelessly destined love. Filled with enamoring qualities and a world with stakes higher than ever, where the roles of rich and poor are tested like a game. An incredible - possibly even the best - Historical YA book I have ever read. A definite favourite this year. I can't wait for The Winner's Crime, book two of the trilogy! A game of bite and sting, anyone? (You'll only understand if you've read The Winner's Curse, which you SHOULD!) 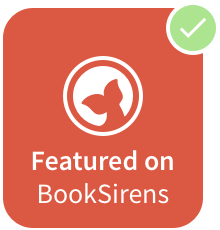 Speaking of, you can actually play it here on Marie's website for the book. Historical YA fans, even stretching to the Fantasy lovers. It's one of those books where even if you don't normally read the genre, you'd love. Have you read The Winner's Curse? I adore this book! And thanks for the heads up about that game!